Sharon Cuneta uploaded short clips on Instagram of a young KC Concepcion, sending her a sweet birthday message. 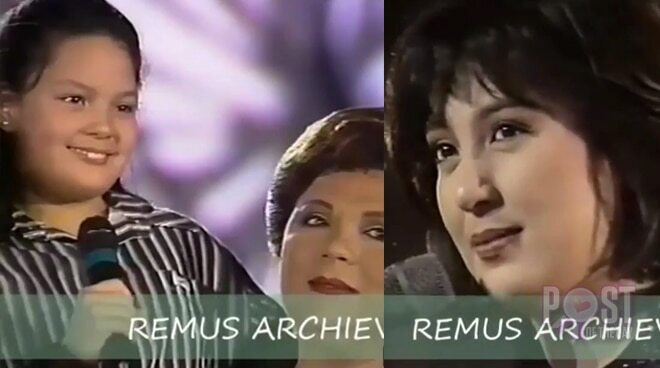 On Instagram a couple days ago, Megastar Sharon Cuneta posted a throwback video of a young KC Concepcion, thanking her for being a great mom. “She tells me she wishes I was not the so-called ‘the mega star,’” said Sharon after KC admitted that she sometimes hopes to spend more time with her. In another video, Sharon’s late mom Elaine Gamboa also wished her to always remember the love they shared. The next Instagram post was a continuation of the previous video clip, where Sharon’s father, former Mayor Pablo Cuneta, sent her a birthday message.